A “hero” who rescued a sheep from a sheer cliff face in Wales has been reprimanded by the RSPCA for the “dangerous” stunt. 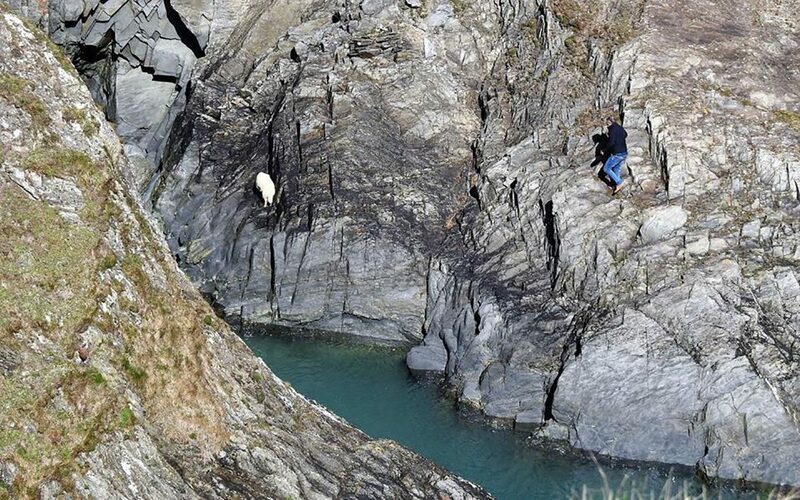 The Canadian tourist was photographed scaling down the cove near Porthgain in Pembrokeshire after the animal became trapped on Saturday. The unnamed man has since been hailed as “truly courageous” and a “hero” on social media after he hoisted the ewe to safety in front of spectators and his family. The dramatic spectacle was captured by walker Andrea Williams, 54, who posted the photos on Facebook, describing the feat as an “amazing act of human kindness”. However, the rescue was branded “dangerous” by the RSPCA and Coastguard, who urged others not to follow the example. Next articleNintendo Direct April 2019 DELAY: Proof next Direct coming on THIS date? Avengers Endgame SPOILERS: Does THIS reveal how Thanos will be defeated?